Andrew Neil Biography, Wife, Net Worth, Where is He Now? 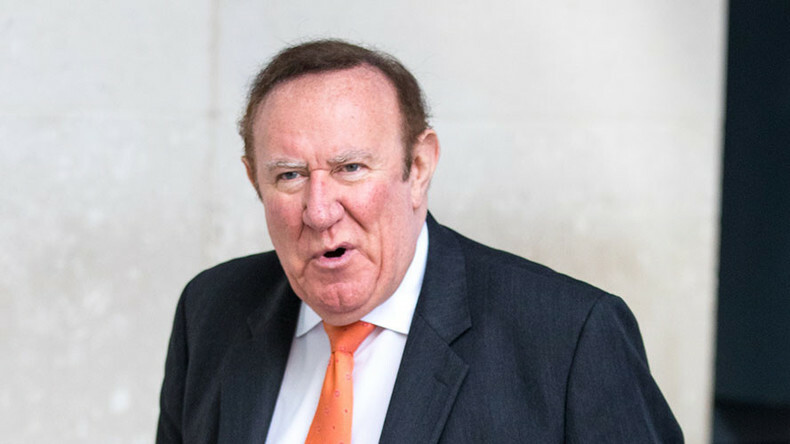 Home Media Personalities Andrew Neil Biography, Wife, Net Worth, Where is He Now? Make a list of veteran Scottish TV presenters and journalists and the name Andrew Neil is sure to appear. For a decade, he worked for The Sunday Times and was appointed by none other than the media mogul himself – Rupert Murdoch. He has gone on to work for other big media outlets including the Daily Mail, Sky TV (now BSkyB) and the BBC. Neil remains a frequent name in the news headlines thanks to his ever-controversial remarks on global events. Andrew Ferguson Neil was born on the 21st day of May 1949 in Paisley, Renfrewshire but was raised in the Glenburn area. He began his education at Lancraigs Primary School and after acing the qualifying examinations at the age of 11, proceeded to attend Paisley Grammar School. For his tertiary education, Andrew Neil chose to study at the University of Glasgow where he began gaining experience in journalism as the editor of the school’s newspaper, the Glasgow University Guardian while also working in student TV. He earned a masters degree in political economy and political science from the same school in 1971. Andrew Neil started out his professional career working for the Paisley Daily Express, as a sports correspondent. He then worked for the Conservative Party before The Economist hired him in 1973 as a correspondent but later promoted him to an editor. A decade later, Neil was controversially hired by Rupert Murdoch to the position of an editor at The Sunday Times. In 1994, he was relieved of his duties and made attempt to begin a show at FOX – another of Murdoch’s outlet but it was to no avail. Andrew Neil next became a contributor to the Daily Mail before becoming the editor-in-chief of Press Holdings group of newspapers. While advancing his career in the print media, Andrew Neil also pursued a career in TV broadcasting most notably with the BBC. Andrew Neil is still active as a TV presenter and a journalist. Since 2003 he has presented live political programmes for the BBC – This Week which aired on BBC One and Daily Politics on BBC Two. In 2019, the programmes were replaced by Politics Live with Neil remaining as its presenter. Neil has in the past worked on other political programmes for the network and continues to do so. He took to his Twitter account in August 2016 to reveal that non-BBC jobs account for 75% of his entire work portfolio. That portfolio includes being chairman of Press Holdings Media Group and chairman of ITP Media. The latter focused on the Middle East and published over 60 magazines in English and Arabic. From 2005 to 2015 he was the chairman of the TV production company, World Media Rights (WMR) which he co-founded. Andrew Neil has earned a lot of money from years of working in the print media and broadcast television. When BBC published the salaries of its employees in 2017, Andrew Neil was included in the £200,000 to £249,999 bracket. However, as non-BBC work makes up 75% of his work portfolio, it suffices to say that Neil earns more from those sources. The Business Insider in 2016 published that he is the sole shareholder of Glenburn Enterprises. Andrew Neil is no doubt in the millionaire class, however, determining his exact figures remain possible due to the very little information available on his finances. Andrew Neil is married to Susan Nilsson whom he describes as “the Swedish engineer.” On the 8th of August 2015, the couple got married in a secret wedding that only came to light about a week later when Neil took to his Twitter account to reveal a photo of them in the conventional black and white. The wedding was held close to Neil’s mansion in South France and was attended only by two people – Deal or No Deal presenter Noel Edmonds and his wife Elizabeth Davies who are Neil’s neighbors in Grasse. In a series of tweets about the marriage, Neil also revealed that his dear dog Molly who is famous for frequently appearing on Neil’s show, This Week was also in attendance on the big day. Though Neil only married Susan Nilsson in 2015, the two have been romantically involved since 2010. Susan is said to be 20 years younger than Neil and holds a degree in economics. She has been working at the engineering and environmental consultancy, Waterman Group for years. She first started out at the company working in business before she was promoted to the director of communications.